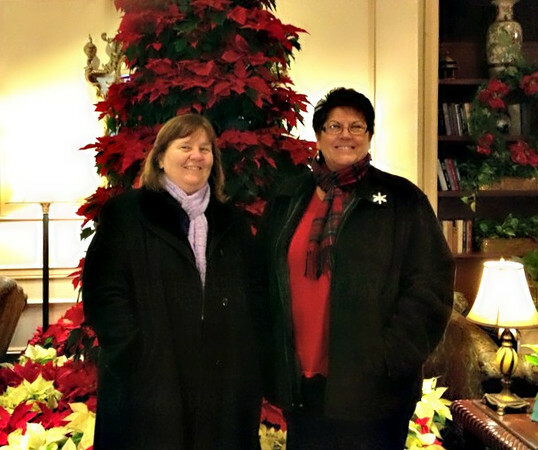 A few days ago I made my very last trek up to the North Shore for 2012 so that I could meet up with Barb who was spending the Christmas holidays with her family dearest in Tewksbury. After consulting her jam-packed calendar which was overflowing with fun family events, we determined that there was just enough time to spend a day in Salem. Go figure, huh? 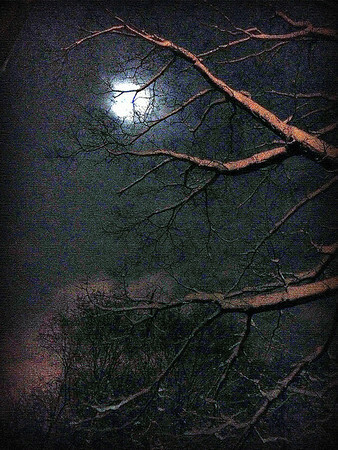 With a rather dire weather forecast being predicted, I drove up to Salem on Wednesday evening (just beating the snow that started to fall in Connecticut a short time after I left) and then managed to talk Barb into joining me for two nights at the Hawthorne Hotel rather than just one. She reluctantly gave up her spot on the couch and I made the short drive over to Tewksbury to pick her up once again being just ahead of the bad weather! Thursday dawned with lots of wind and rain so we skipped our planned drive up to Kennebunkport, Maine with Juli and opted instead to go see "The Hobbit" at the local theater. I think we both kind of fell asleep during different parts of the movie but not because of the movie itself but due to the late night/early morning we had before the movie! Following that we made our way back over to the Hawthorne and had a lovely long nap before meeting up with Walt and Juli, as well as her sister Mari-Ann and her husband Steve who were in town for a late Christmas celebration, for a delicious dinner in Nathaniel's. Before we knew it, it was Friday morning and time for me to take Barb back to her sister Lynda's but not before we hit up Nathaniel's one more time for breakfast! 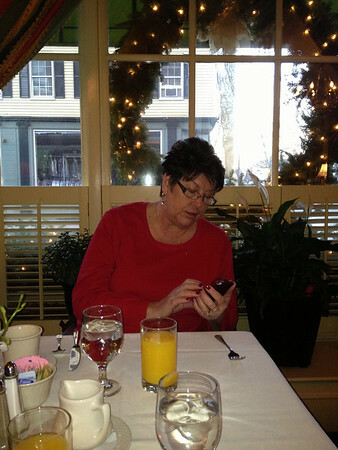 I snapped the photo below of Barb on her iPhone with my iPhone - two accessories that we never seem to not have with us! 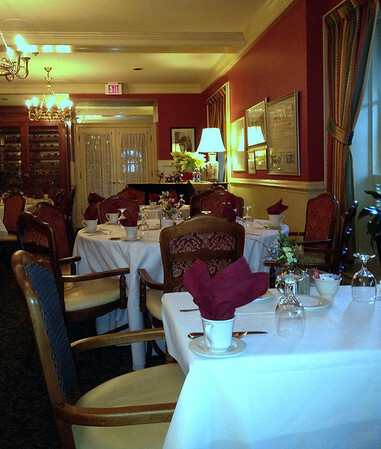 For those who haven't seen photos of it a million and one times over on Facebook, this is Nathaniel's - the more upscale restaurant at the Hawthorne Hotel. Even though it's upscale, it's not stuffy or snobby at all and it's easy to feel comfortable and relaxed all while being pampered by some real friendly folks who work as waitstaff there. Not to mention the food is really good! Following breakfast, we got ready to check out but wanted to be sure to say goodbye to Juli who had yet to arrive at work. While we were waiting, Barb asked a couple of ladies who just happened to be from Norwich, Connecticut if they would mind taking a photo for us as we hadn't had any taken while we were together. Barb had met the ladies earlier and found out that they were there for a relative's funeral. It truly is a small world! After dropping Barb off with a big hug back in Tewksbury, I made the drive home to Connecticut with a stop at the Market Basket grocery store in Oxford, Massachusetts close to the Connecticut border as they've got lots of things we don't have down here in Norwich plus their milk is only $2.49 a gallon as compared to the $4.09 a gallon here. Yikes! Add on the fact that I was having a hard time staying awake on the turnpike and I figured getting out of the car for awhile would be a good idea! Yesterday I worked for 16 hours while outside snow was falling and Norwich was being covered in a blanket of white; the forecasters were predicting 6 to 8 inches - we ended up with 14! Someday they're going to get it right and I am going to be absolutely astonished! 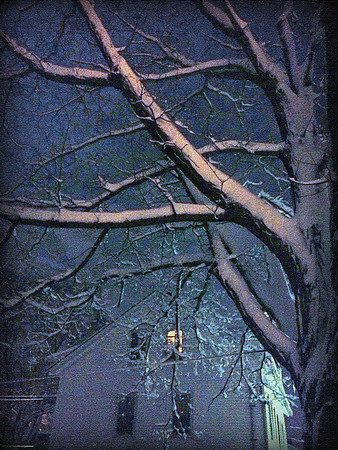 When I got home from work around 11:30, I spent a little time shoveling away some of the snow that had accumulated since Amanda had last shoveled and while doing so took the time to attempt a couple of photos with my iPhone being that it was so pretty out. These are those! Today was another round of shoveling followed by a nice hot shower and just being lazy. As cold as it was outside, I thought that was a good plan! 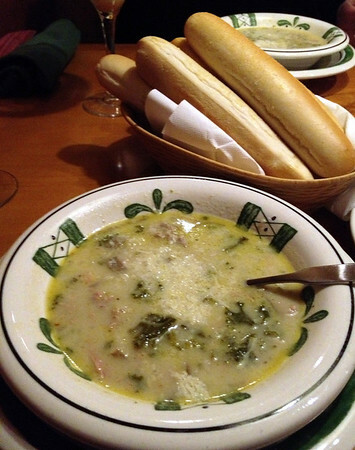 Tomorrow Jamie and I will be going to lunch with my friend Paula at the Olive Garden as I'm jonesing for some Zuppa Toscana and maybe a breadstick or two. Amanda is off to friend's house for a few days to celebrate New Year's so she'll miss out but she was there when I took the photo below the last time we were at Olive Garden when Claire was still here visiting. Wow, that seems so long ago but it really wasn't. Anyway, after lunch it's back home and hopefully an early night as I've got to work a 16 hour shift on the first day of 2013 - lucky me! Ah well, the most excitement I ever have on New Year's Eve is to change the calendar and wonder where the past year got off to so it's not like I'm going to miss a party or anything! Whatever your plans for New Year's Eve may be, I hope you have a great time and that the coming year is a fantastic one for all of us. I'm of the mind that 13 may just be a lucky number after all in spite of all that superstitious nonsense! I'll be ringing in the new year at work so I'm not all that excited about the holiday...much like I was with Christmas. At least I know someone else will be in the same position as me...although on mostly opposite shifts. Glad you enjoyed your whirlwind visit to the North Shore. I went to Barnes and Noble and bought a whole bunch of magazines for tomorrow night. That and my jammies -- big times! I'm sure it was something thankful and lovely though. Whenever you get snow over there we get it about six weeks later - I'm dreading it! We're on the boat and that's where we'll be tonight. A nice dinner on board and then perhaps some champagne. I'm sure we'll be long asleep before the new year shows up. Good for us.